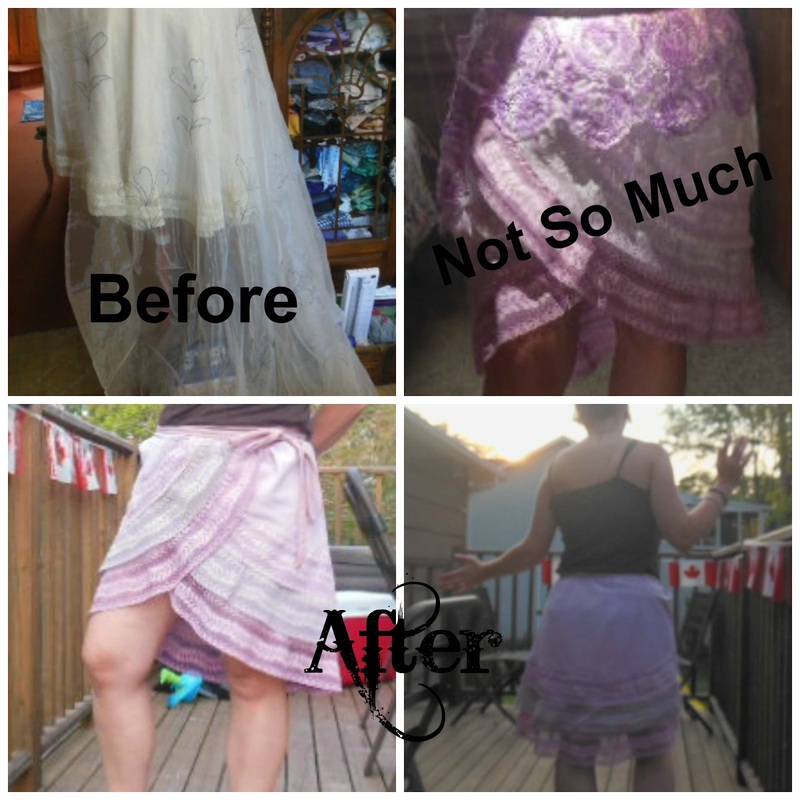 To see how I turned a tablecloth in to a wrap skirt, and how I failed when adding some curtain fabric and a doily, check out my blog. 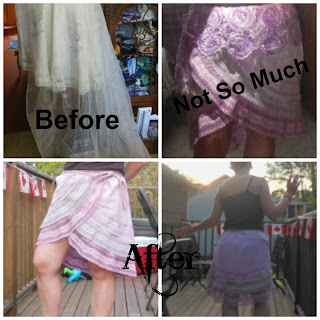 I also discuss how I use acrylic paint to dye fabric. Thanks so much for sharing this with us. Sometimes solutions to my problems come in the middle of the night.